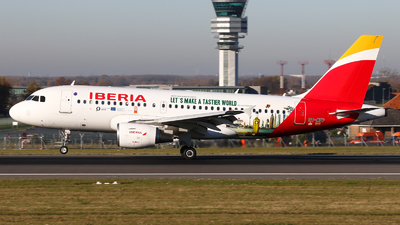 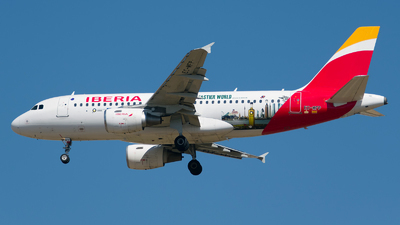 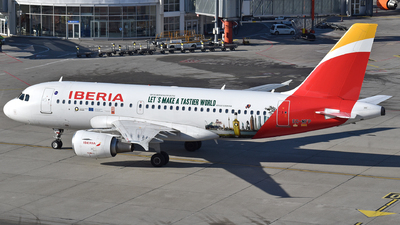 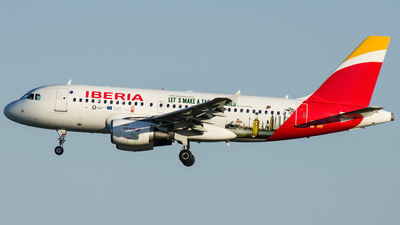 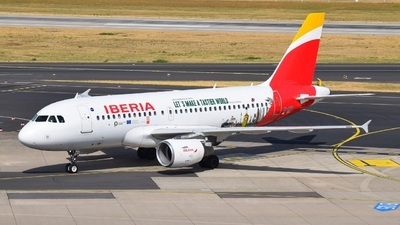 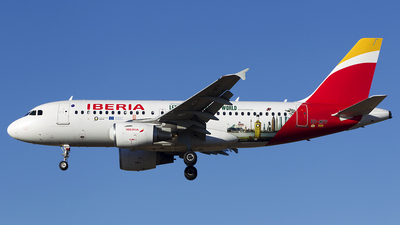 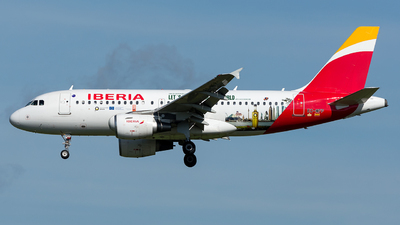 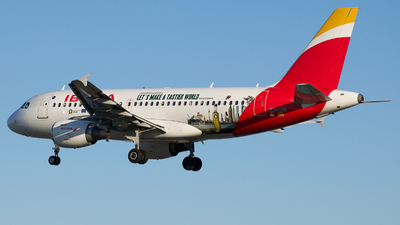 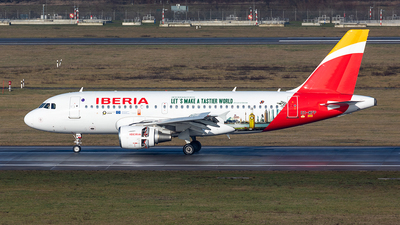 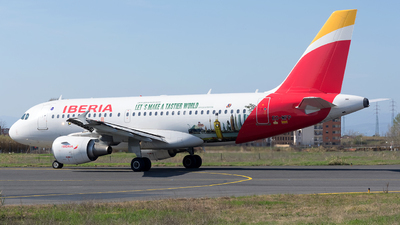 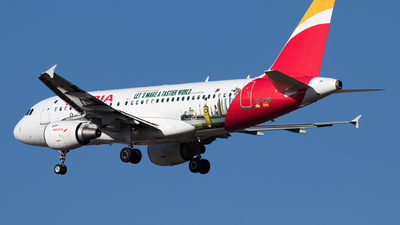 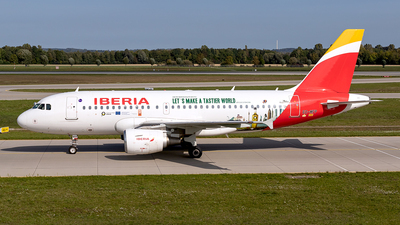 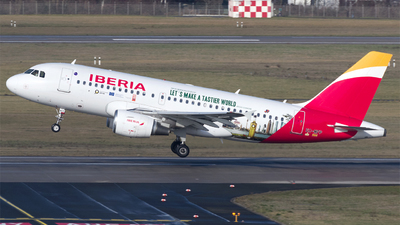 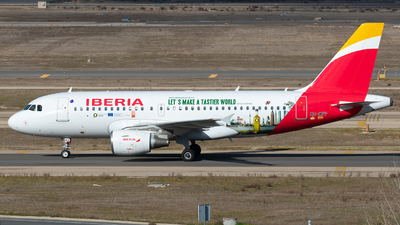 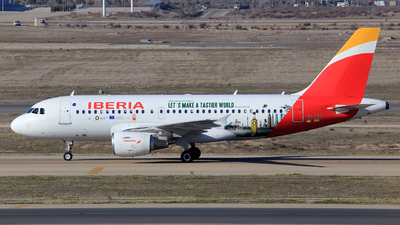 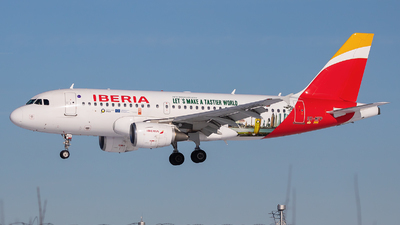 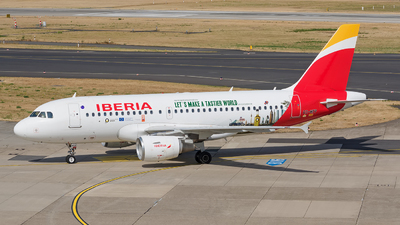 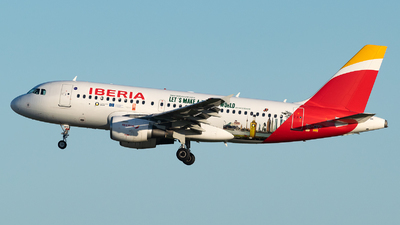 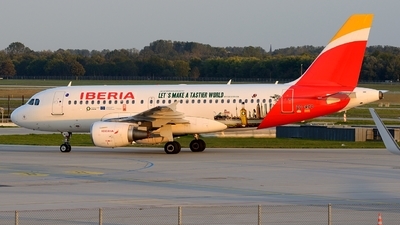 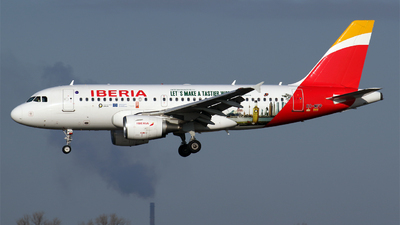 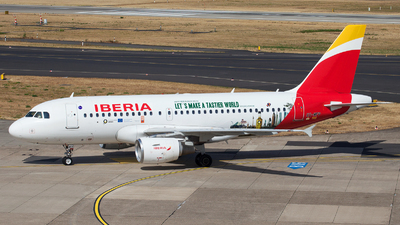 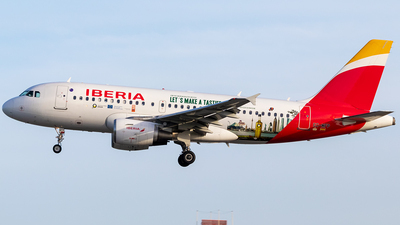 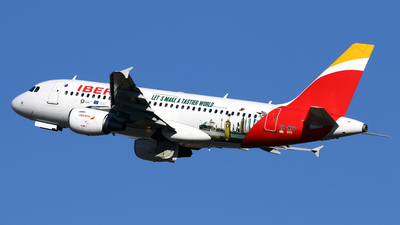 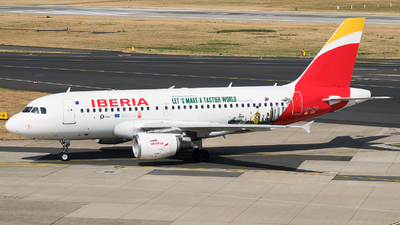 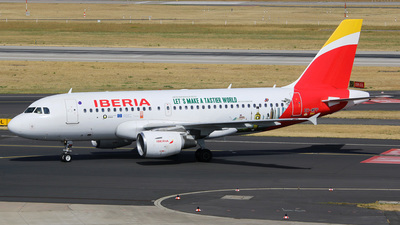 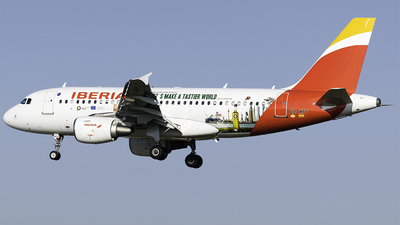 Note: Iberia 'Olive Oil from Spain' special on her way to the terminal after arrival. 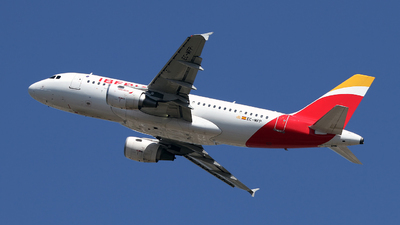 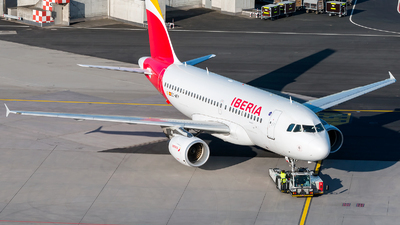 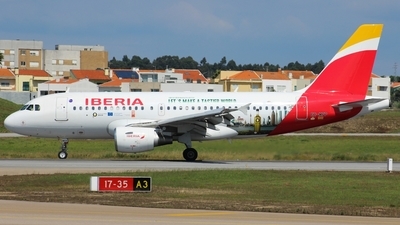 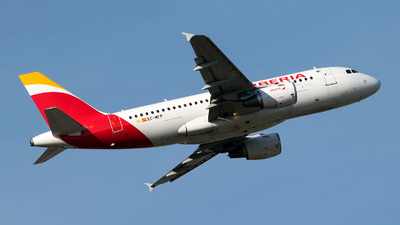 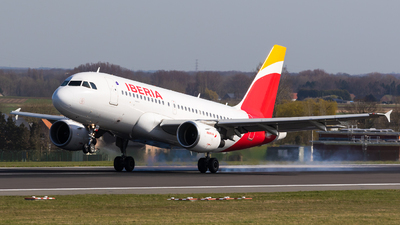 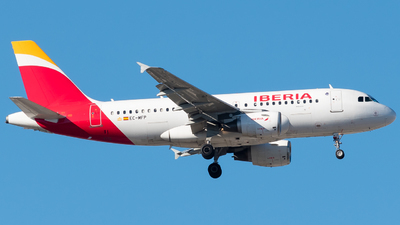 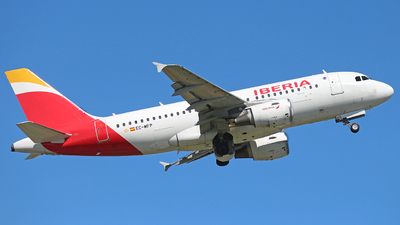 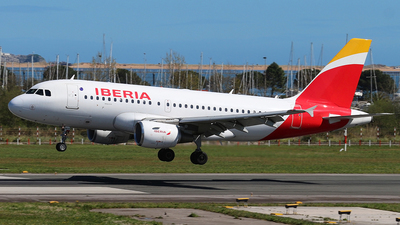 Note: Airbus A319 after take off from runway 14R at Madrid-Barajas. 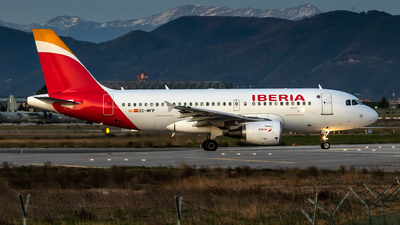 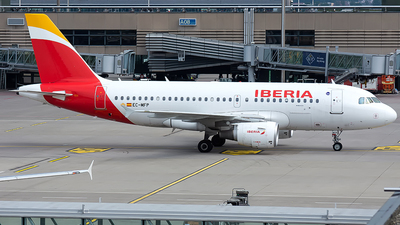 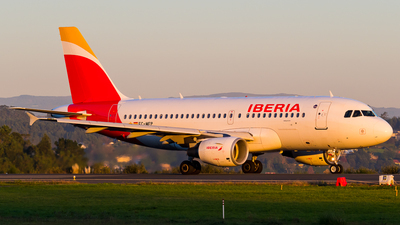 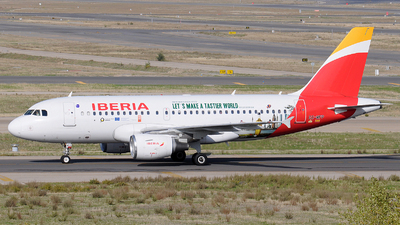 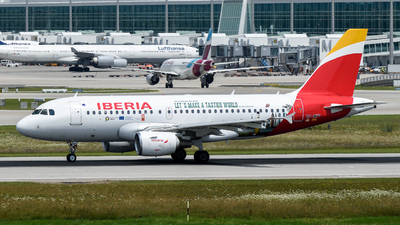 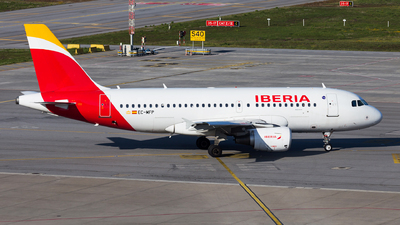 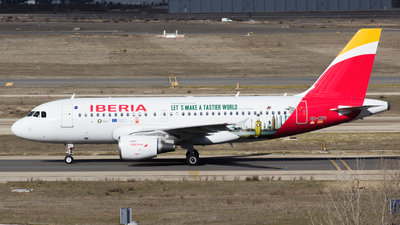 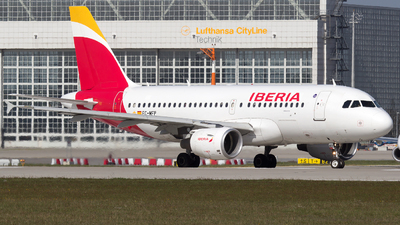 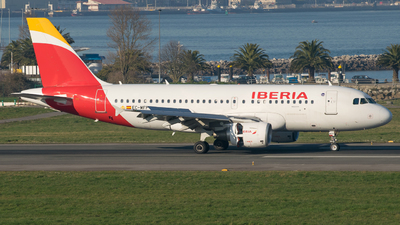 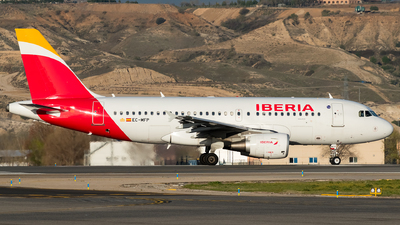 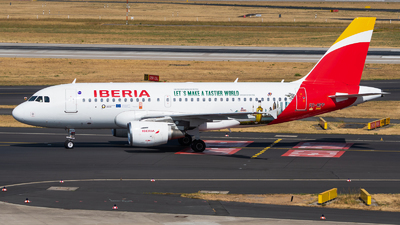 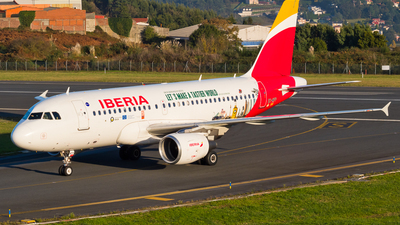 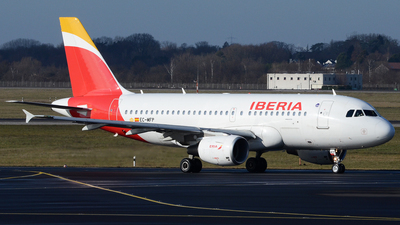 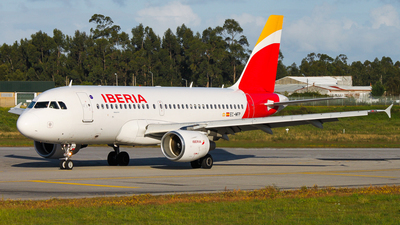 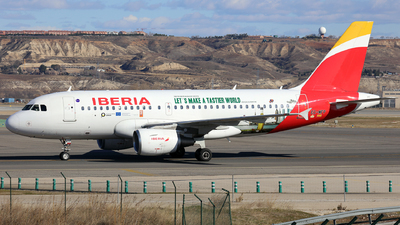 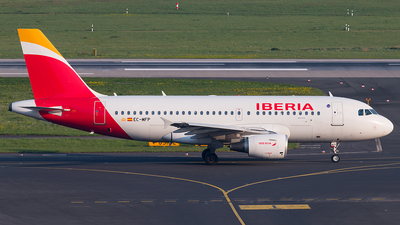 Note: [1920px] IBE30DH on its way to the holding point of runway 17 to perform the return leg to Madrid (MAD/LEMD).